Are you unsure what size of drysuit to buy? No problem simply fill in the below diver sizer! Once the online form has been completed and sent you will shortly receive a phone call or email from an experienced member of staff. 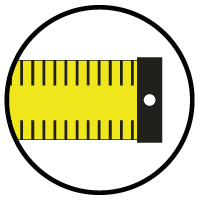 Our staff members will analyse your measurements and calculate your optimum drysuit size. In order to ensure a perfect fit and years of trouble free service, we have produced a step-by-step guide describing the correct procedure for you to measure for a drysuit, you can use this to fill in the form below, click here to view our drysuit measurement guide. Are you struggling to fit into a stock sized drysuit? Don’t worry we can help. Our made to measure service ensures you purchase a drysuit that fits you perfectly. Northern Divers state of the art computerised cutting system ensures that all suits are precision made to your exact measurements. Each suit is designed, planned and graded digitally, then transferred to the cutting bed, which gives a clean and accurate cut, ensuring maximum seam integrity. Suits can be customised with pockets, fly zips, branding and much more, we are happy to help with any requirement you have. Have you tried a suit on? Have you been measured over an undersuit? Will you be wearing an undersuit while diving? Please ensure accuracy to the nearest inch, cm or foot. Please ensure accurate measurements are given. Contact us if you require assistance.